Anton Zaslavski known primarily by his stage name Zedd is a German electronic dance music producer and DJ from Kaiserslautern, Germany. He primarily produces in the electro house genre, but has branched out, pioneering what is known as 'Zedd style', which draws influences from Progressive house, Complextro and Dubstep. Zedd, being born into a family of musicians, began playing the piano at the age of four. After several years of learning to master the piano, Anton began playing the drums in a band, and composed and produced numerous rocksongs in his band’s own studio. In 2009 he began producing electronic clubmusic, to much and quick acclaim. After a period of only few months he attained a remarkable level and participated in Beatport’s “Armand Van Helden / Strictly Rhythm Remix Contest”, which he went on to win. This opened up a number of new possibilities for Zedd, and only shortly after, he won his second contest on Beatport, the “Fatboy Slim / Skint Remix Contest”! Later he shared several cooperations with artists such as Black Eyed Peas, Lady Gaga, P. Diddy, Skrillex, Fatboy Slim, Armand Van Helden and labels like mau5trap, Interscope, Atlantic, Strictly Rhythm or Skint Records. His first release "The Anthem" entered the Beatport charts top 20, and even made it to the second place of Track It Down charts. His remix for Skrillex’ ‘Scary Monsters And Nice Sprites’, released on ‘mau5trap recordings’ climbed up the charts to #4 on Beatport and #2 on Beatport’s Electro House charts. 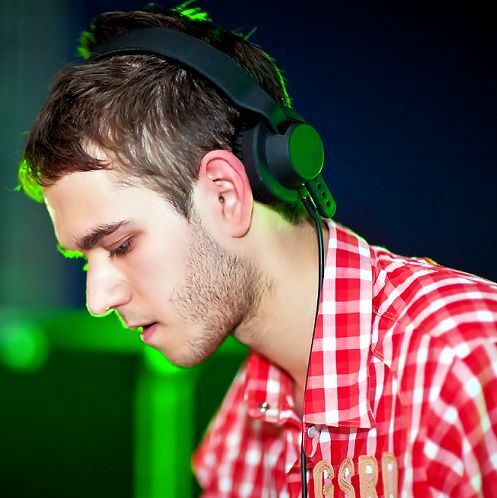 Zedd released his single “Shave It” on October 4th 2011 via Beatport under Skrillex’s new label OWSLA. “Shave It” is Zedd’s first single with OWSLA. One of the reasons for this rapid development is undoubtedly Zedd’s unique and highly recognizable style of composition. It stands out as very detailed and carefully produced Electro House, very playful and the same time remarkably catchy.